Motor homes are always welcome and we have a dump station here for your convenience. 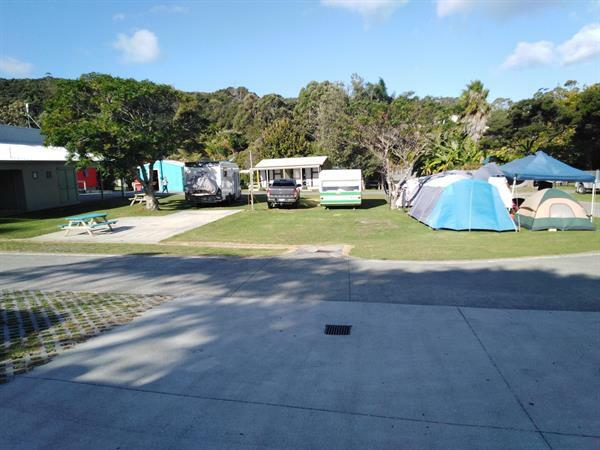 All our camp sites INCLUDING our 6 powered HARD sites are but a short walk to the clean, spacious amenities – shower and toilet blocks, park kitchen, laundry and BBQ area. The beach is also just a hop, skip and a jump from your camp site. We do not allow arrivals Xmas and New Years Day.